From fledgling biotech startups to massive hospital systems, the health-care industry is deeply woven into the community's economy. The industry employs tens of thousands of physicians, nonprofit workers, life-sciences entrepreneurs, health-insurance administrators and the like. Dozens, if not hundreds, of them are driving innovations in health care delivery. There are too many to list, but this group offers a diverse cross section of local emerging leaders. Here is one; click here to find the rest. 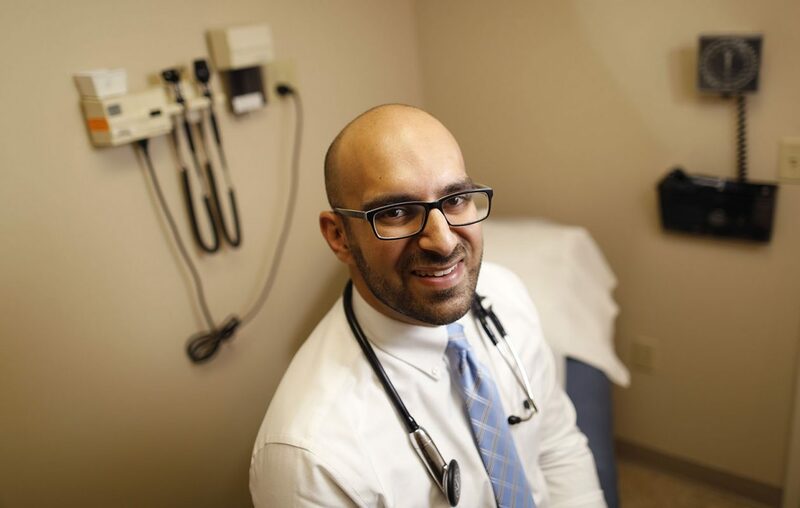 For Dr. Adnaan Sheriff, medicine is the family business. Sheriff's father, Dr. Fuad Sheriff, is a primary care physician at Amherst Medical Associates, which the 30-year-old Sheriff joined in 2017. And his brother, Nabel, is a third-year medical student. The East Amherst native, an osteopathic doctor, is described as dynamic and progressive. He's pushed the independent practice to incorporate technology as it adapts to the health care environment of tomorrow. Sheriff said the practice opens early, saves slots each day for last-minute appointments and has an online patient portal. And Amherst Medical Associates was an early adopter of electronic health records and recently began conducting e-visits with patients. Technology isn't a substitute for taking the time to listen to patients, said Sheriff, who is affiliated with hospitals in the Catholic Health System. The key is making life better for primary care physicians, who struggle with burnout, while allowing patients to invest in their own care.